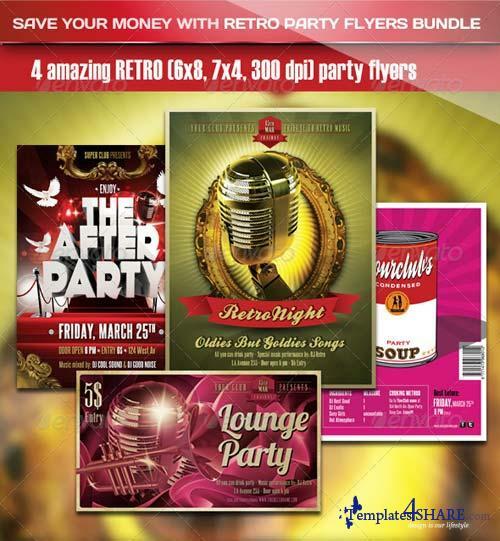 Save Your Money with Elegant and Unique Retro party or event flyers Bundle. Suitable for Clubs, Bars. Easy to modify, change elements of design, dimensions, all text editable. Hide or show some layers and obtain more original designs!